Last week I wrote about the ancient mysteries of sound levitation on stone and felt I had barely scratched the surface of this intriguing subject. I went back to delve deeper into the effects of sound on stone and had even more insights. Many of us already know that sound can be used for healing, but the ancients knew one of the biggest secrets of all. Sound = the source of Earth Energy. The great inventor, Nikola Tesla, once said, “The Earth rings like a bell” convincing him that this “sound of the Earth” was the source of unlimited free energy we could all plug into. I’ve seen a demonstration of sound frequencies boiling water, but no stone was ever used in the process. So it’s only natural to question—how did the ancients use sound on stone? 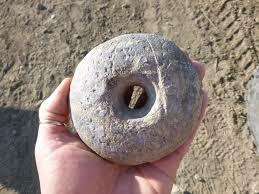 Strange donut-shaped stones, both large and small, have been found around the world, but more recently in ancient stone circle sites in South Africa. The natives call them sacred stones and every farmer, who is lucky enough to find one, acknowledges the good fortune it bring him. For centuries no one had any idea what purpose these odd-shaped stones held. It’s been mostly guess-work. The South African government explained that they were probably weights for some type of primitive digging stick. When writer /researcher, Michael Tellinger, studied these strange stones, he found that if struck or sound is applied they have a resonance that activates a toroidal energy field. No sooner did I learn about these South African sacred stones, then I learned similar roundish stone artifacts were found in Southern California in the Ballona Wetlands. They exhibit a high quartz content and are believed to be extremely old. Since I cycle past the Ballona area every weekend, this caught my attention. This area is just south of a small portion of the coastward interface of the Tongva and Chumash Indian territories. The ancestors of the Chumash arrived in this area somewhere between 12,000 and 27,000 years ago. They taught their descendants that “within ancient stones lies the memory of the past and the knowledge of the future.” The Chumash talked about “awakening” the stones through ceremonies, yet how this was done remains a mystery. 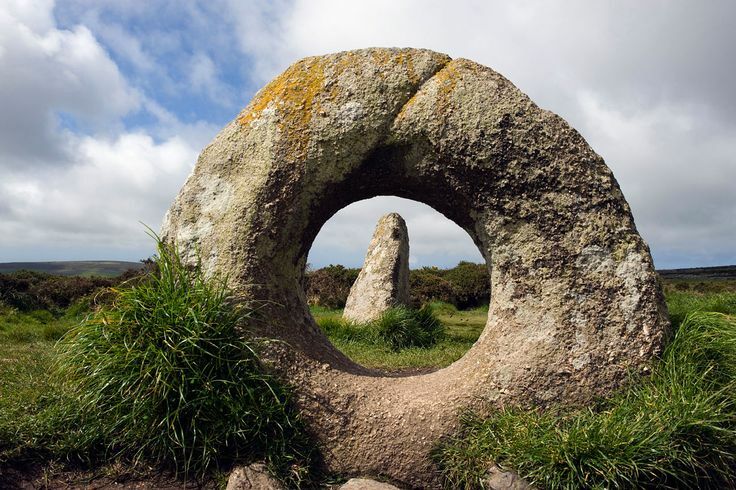 The toroid shape of these ancient stones is what is most significant. A toroid functions as an energy coil that stabilizes an accumulation of cycling frequencies. It starts as a simple pattern of rotating energy into which other frequencies are introduced and incorporated, gradually making a full, complex and integral cycle. This cycle of geometric “spin” which spins out the top to the bottom in clockwise and counter-clockwise rotation, generates electromagnetic and gravitational waves both horizontally and vertically. Spin is a fundamental principle in all movement in the universe. Spin dynamics can activate a vertical beam of energy straight up to the sky. This might explain the strange beams of energy that have been randomly photographed emerging from the top of the Great Pyramid of Giza and the Bosnian Pyramid in Serbia. Something is being activated and scientists have not been able to explain what causes it. Can this vertical energy beam create gravitational/levitational lift? Is it also opening a vortex portal? All intriguing questions, with no easy answers. The human aura also exists within a toroidal field. Although the torus shape of the aura has a boundary, it sits in the universal life energy field, which is unlimited, or infinite. This energy connects us all, at all times, with everything else in the universe. In time we will figure it all out and reclaim what was once known, but lost. Re-connecting us all with universal consciousness to heal ourselves and this planet is, afterall, our inherent destiny. I hope the authorities didn’t confiscate the stone from that man. If they didn’t take it, I would be surprised. He says they did not take it from him, in one video I’ve seen. He says it was all down to a Zulu man who was one of the TSA guards, he took a look at the stone and said “oh yeah. you see those stones evrywhere in South Africa” and then he turned and walked away. Michael Tellinger puts the diffusion of the whole situation to this man and his comment. He mused that the whole story may have turned out very differently if the Zulu Guard was not there. I’m so excited that someone thinks like me about these stones! I’ve been collecting them on our farm here in South Africa and always thought of them as some sort of portal, but never got much information when researching them. Nobody seems to know anything about these amazing stones, but I can feel it. It’s great to hear that someone is preserving these stones for posterity, thank you so much! Curiously enough, I’ve noticed that these stones occur on many continents, but I am yet to hear or see one that’s been found in Australia, despite having found areas with “ringing rocks” similar to those found in South Africa. I’ve actually been rigorously searching for one of these stones, so that it might be submitted for scientific testing in an effort to replicate the conditions that generated the “toroidal energy field” in the stone, as informed by Michael Tellinger. I am extremely interested in the study of these stones and hope to have the opportunity to prove Mr Tellingers hypothesis, with the assistance of world-leading technology universities. If you or someone you know would be willing to perhaps “loan” a nice specimen for study, I would be more than happy to organise and cover all logistics and costs, whilst acting as its guardian, and return it directly to the owner once all examinations are complete. I know it’s a long-shot, but I feel that we really do need to study these stones to better understand their purpose and applications. If anyone would be willing to help, please feel free to email me at (miss.sherrimitchell@gmail.com) anytime. Hi I am very interested in the stones that you are speaking about. Do you know what kind of stone they are made from? I don’t know much about these but I understand that they are probably very important and life and I would like to know more about them do you have any knowledge to share? 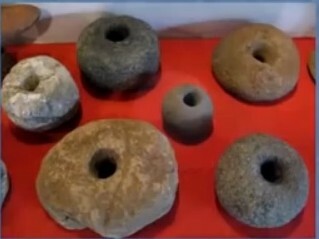 Im From Chile and ive just recived a stone like those as a presentar, amaizing, i knew that was something and i was watching a micheñ tellinger conferencia and then… Boom the rocl i had im my room was un his presentation… what !! If you have more info please email me. Here in Chile are a lot of these rocks apparently! I just received one of these stones. Will be tapping using double terminated lemurian crystals and experimenting with others as well. Also will be imaging with flir tech. The energy coil reminds me of a black hole, or maybe shape or function of the universe itself and we are only seeing/recognizing a small part of the full shape. Does anyone know where you can maybe purchase one of these stones? Just wondering. Watched Michael’s documentary last night. Wow so much information/truth I didn’t know. I have been fascinated for years about the stone circles enclosures and Great Zimbabwe enclosures. I watched a lecture of yours on the Ringing Stones and have came up with a theory. Could it be possible that the circular enclosures were to stop the dust which could have contained gold from blowing away during the process. The process I think they used was to layout as many ringing stones on the surface of each enclosure and then striking the stone to cause resonance to bring up any gold particle to the surface. I thought of this idea from a holiday in Lanzarote when I went to visit a vineyard. The vines are growing in hollow circular beds and at the top edge have a wall of stones. I found out that they were grown this way for years and due to very little soil on the island. I am at the moment researching the Brochs of Scotland to find out who built them and this is when my research took me to Great Zimbabwe because of the circular walls like a Broch. A YouTube guy I watch might be able to shed some light on the subject. Theoria apophasis is his YouTube name. He uses a Ferrocell to view magnetic fields. I think it would be a interesting thing to tryout. Or just put it close to a tv screen while subjecting it to certain frequency’s. This could be a way of testing the output and or input. If it reacts then change the pitch. Maybe the frequency that makes the flower of life pattern on a Chladni Plate. Post your findings please. I am eager to hear back. We have found a couple of these stones on our farm. This is one of the most information I have received on the. This works on the same principle as spirit had taught me back in 1985. I’m an accomplished healer and the technique that I use employees the Chi energies which is in everything. Now by losing my hands with just the finger tips of the indexand saturn fingers to the thumb an cone of light does appear to me that extends down through my fingers that are closed. However I was using the power of the mind to vary the frequency of of the healing energy. Not only could I see the energy, but whatever acupuncture point that I was directing these energies into would magically be transformed in these healings. Which did work.